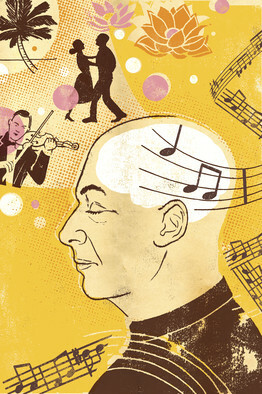 Music works, music heals; it unlocks our emotions, creativity, spirituality, and the infinite potential of the brain. It is also a way to tap into the memories of someone suffering with Alzheimer’s Disease according to Dr. Concetta Tomaino, who has studied the therapeutic effects of music for more than 30 years. Caregivers have observed for decades that Alzheimer’s patients can still remember and sing songs long after they’ve stopped recognizing names and faces. Many hospitals and nursing homes use music as recreation, since it brings patients pleasure. But beyond the entertainment value, there’s growing evidence that listening to music can also help stimulate seemingly lost memories and even help restore some cognitive function. Read the complete article by Melinda Beck in The Wall Street Journal. Music therapy can have absolutely fantastic outcomes in those with Alzheimer’s & should never be underestimated!